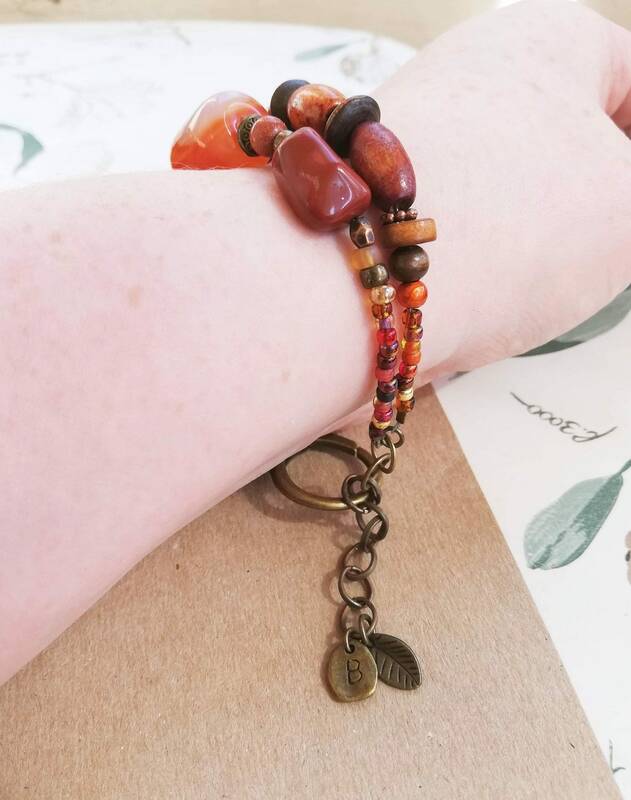 I recently made a small collection of rustic boho jewellery focusing on a lovely warm colour palette of red, burnt orange, warm brown and yellow colours. I think of it as a camp side or warm open fire at home with wood logs and flames. 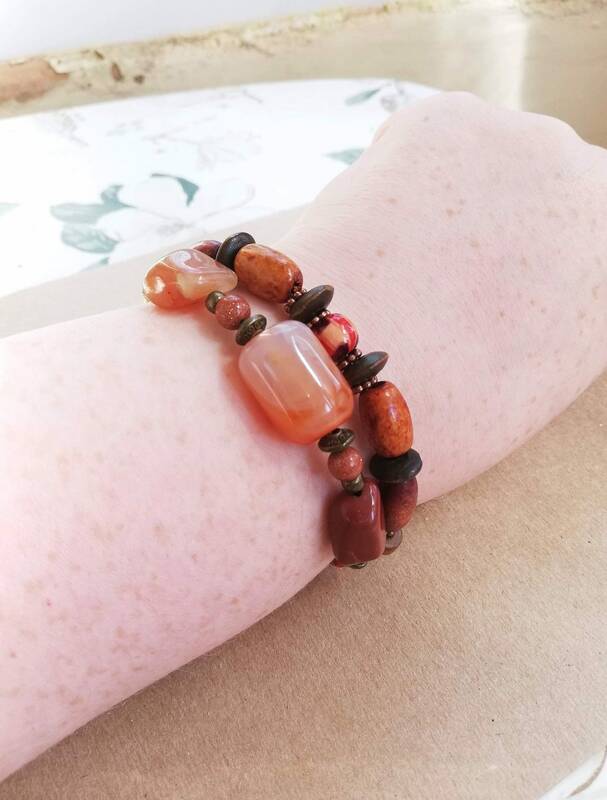 This bracelet is a two strand design with chunky gemstone and wood beads. 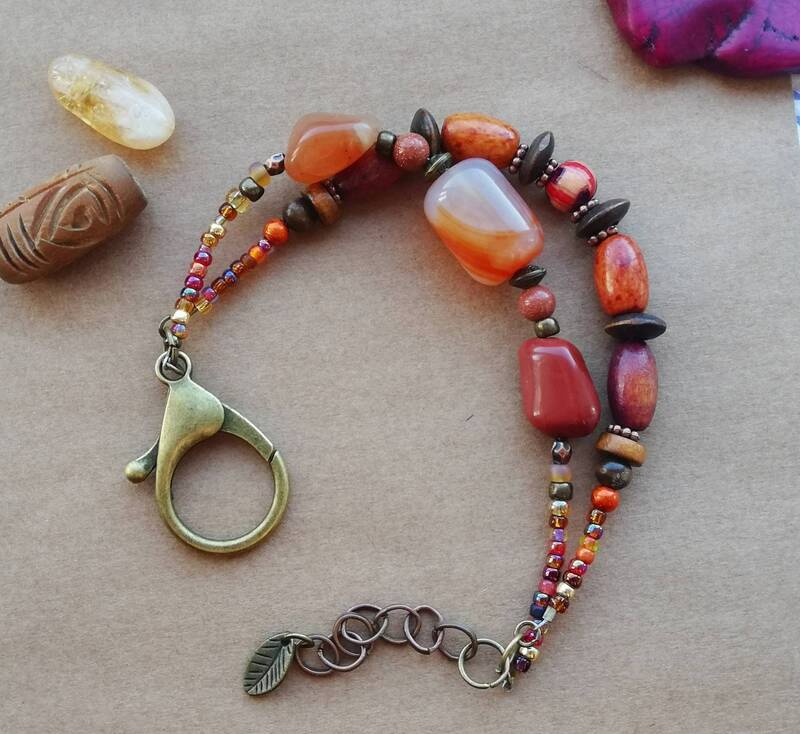 One strand has a trio of gemstone nugget beads; red jasper and orange carnelian. The main bead is a 17x14mm spectacular grade A+ carnelian barrel bead with wonderful orange and white striations. 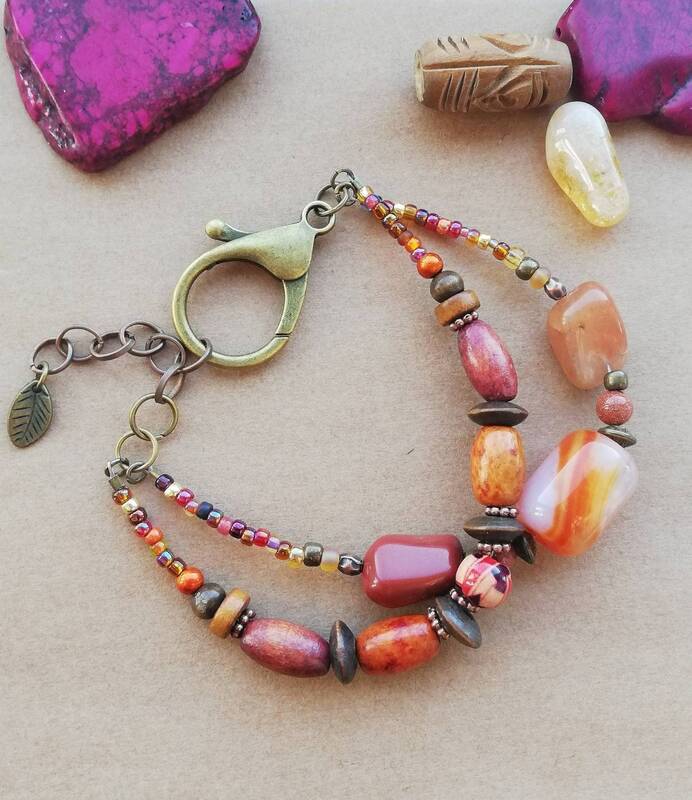 There are also small spherical goldstone beads - a lovely terracotta with gold sparkles. 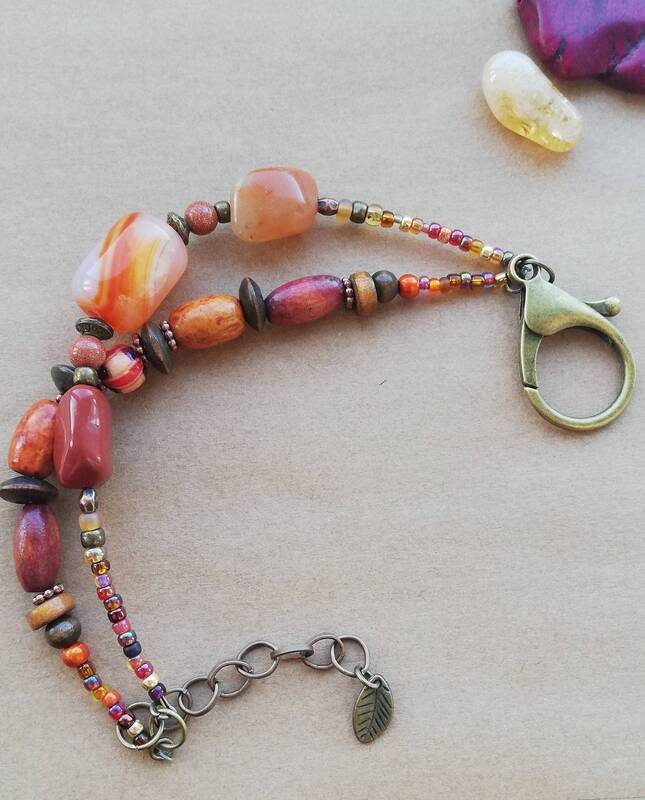 The second strand is made up of beads in complementary colours and textures. 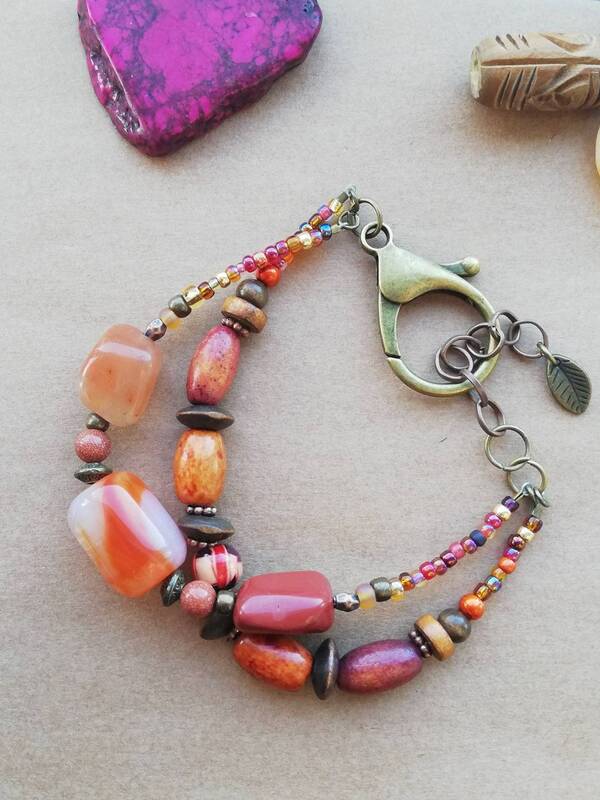 This includes several disc and barrel wood beads together with smaller multi-coloured seed beads. 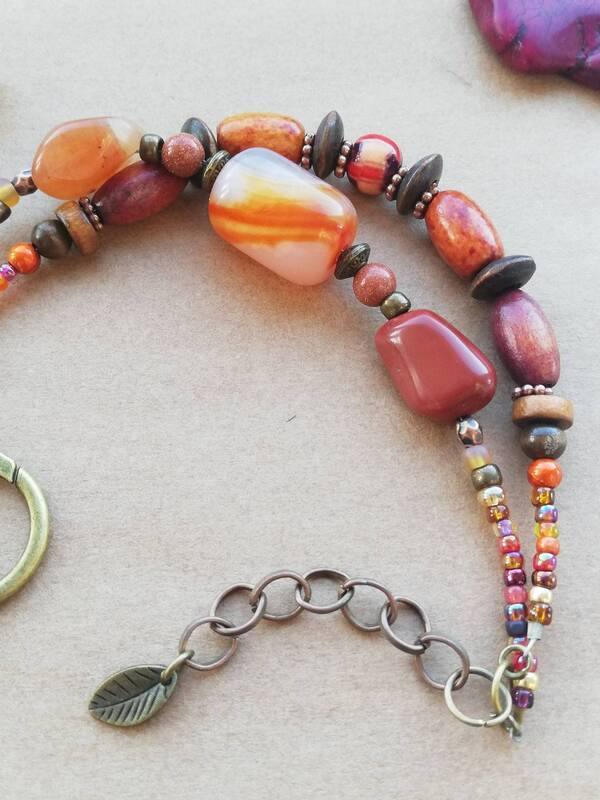 I finished this with a large statement clasp (3.5cm) which fastens on an chain with small leaf charm. 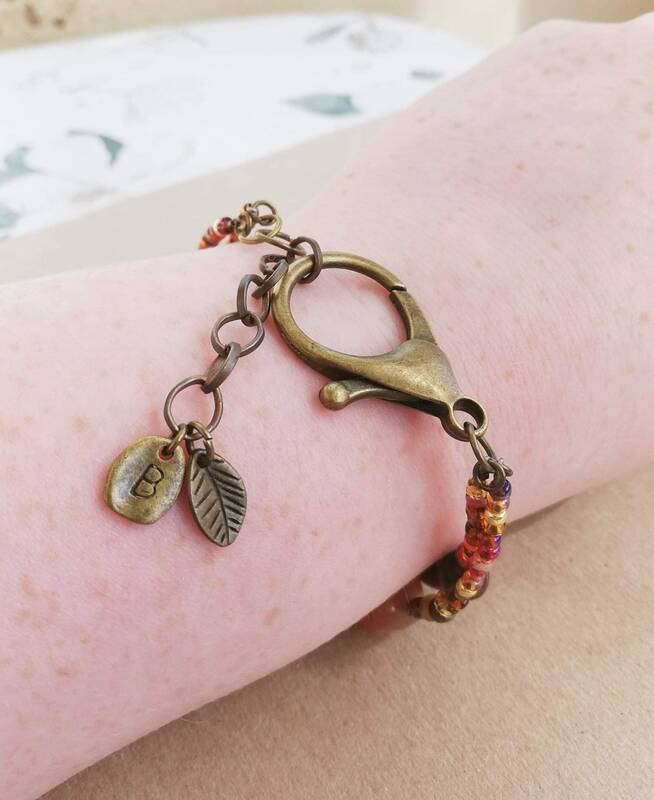 The copper chain means the fit of this bracelet is adjustable from 20-24cm, meaning it can be worn loose or tighter to suit. 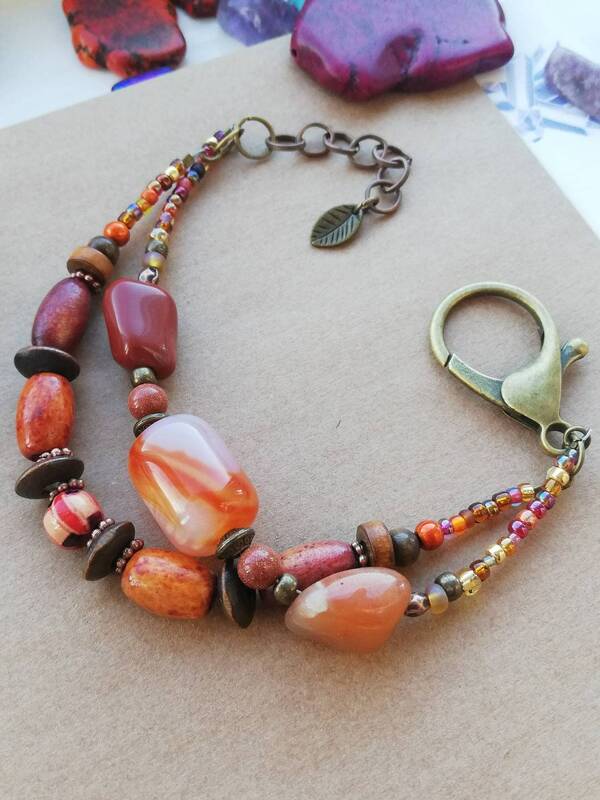 Coming soon in this collection will be listings for matching earrings and a necklace together with a three strand beaded bracelet similar to this. 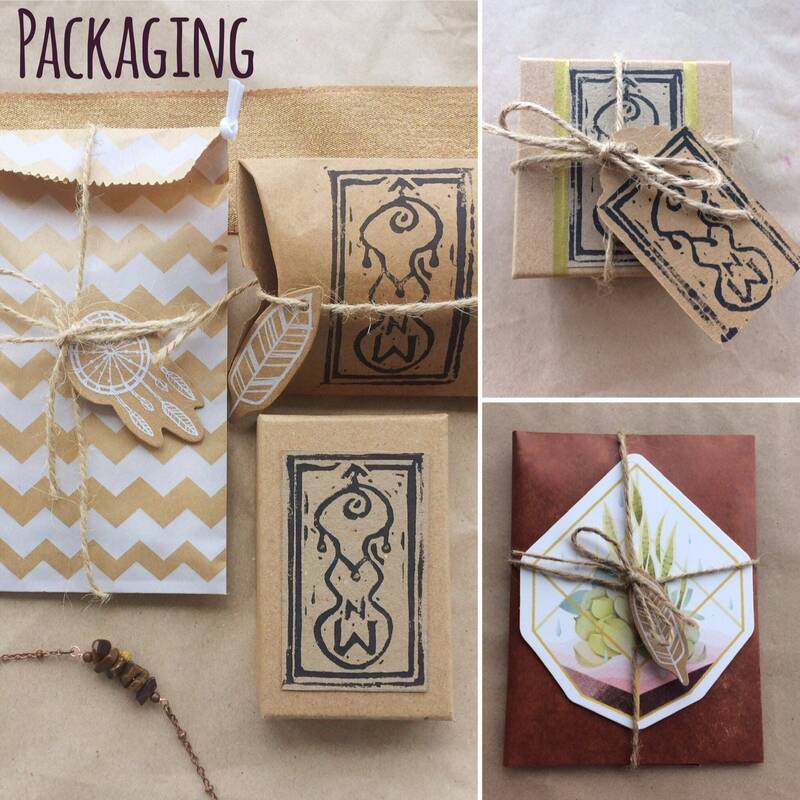 All purchases are packaged in hand finished lino printed boxes. I am happy to include gift wrapping and messages - just select this as an option and include the message you would like added. Thank you!